Michael is a dedicated design professional with more than 35 years of experience in multi-million-dollar commercial design and construction. 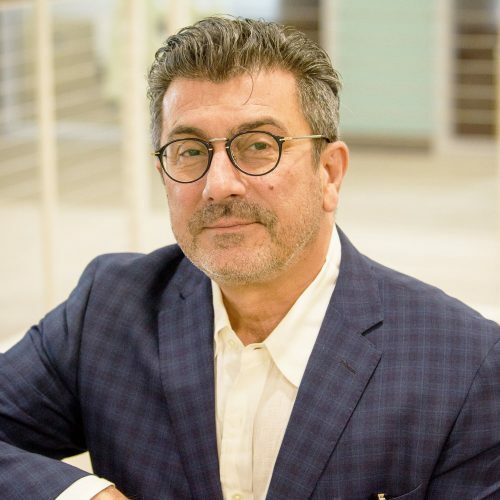 His award-winning projects include healthcare facilities, multi-family housing, adaptive re-use workspace environments, and transportation maintenance facilities. As a project leader, he successfully takes large, multi-phase projects from inception through construction. Michael has served on numerous civic committees, including the Mid-Town Cleveland Architectural Review Board, the Cleveland Gateway District Design Review Committee, and the Tremont Architectural Review Board. He has also served as a visiting studio juror at the Kent State University School of Architecture and Environmental Design. He is currently serving a two-year term as a juror for the prestigious Cleveland Arts Prize. Michael is also a member of the American Institute of Architects (AIA).